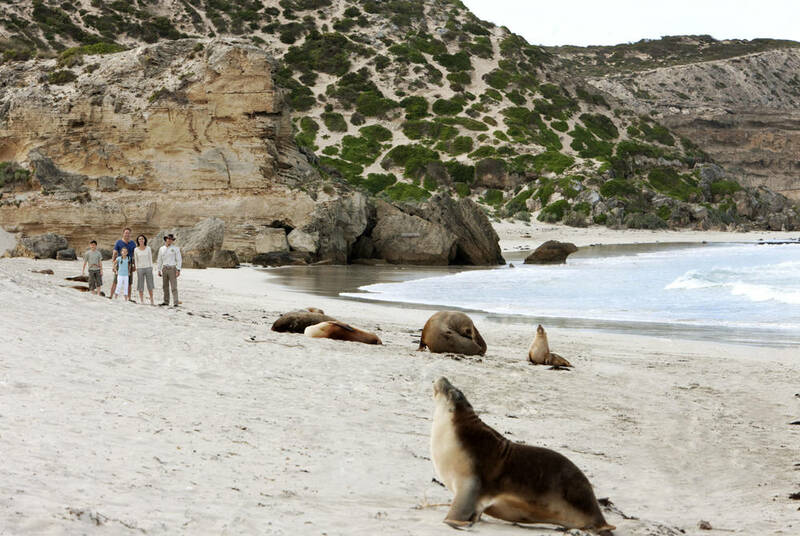 Kangaroo Island is often referred to as Australia’s ‘Galapagos’ and this wildlife-rich environment is just off the coast and easily reached with a 25 minute flight from Adelaide. 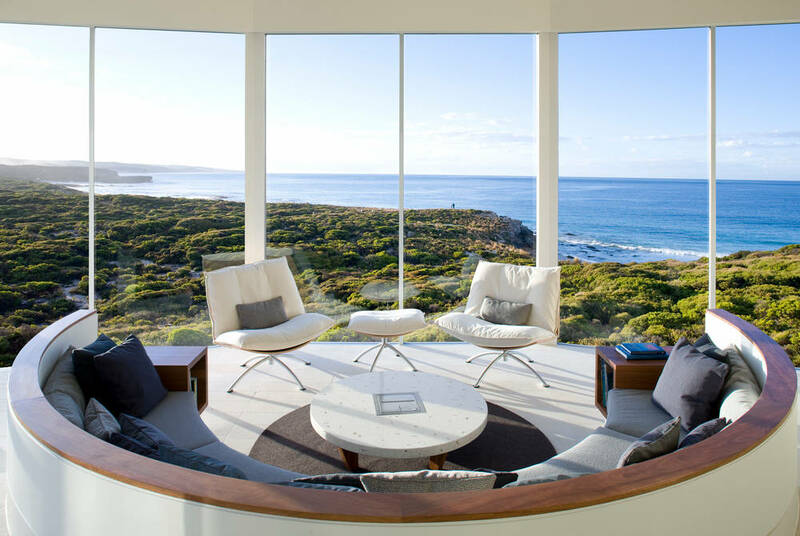 Southern Ocean Lodge is located at Hansen Bay on the edge of the Flinders Chase National Park, a 50 minute transfer from Kingscote airport. 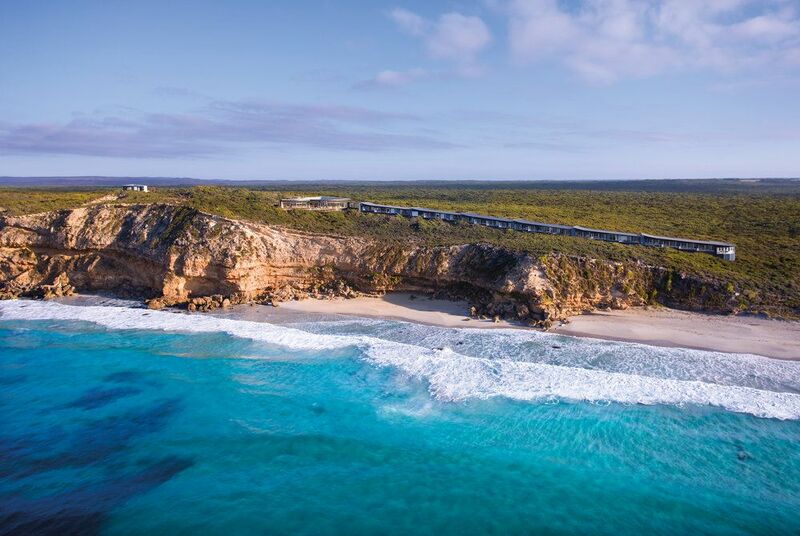 Alternatively, for those who like to travel under their own steam, you can take the 45 minute ferry crossing from Cape Jervis on the mainland and the lodge is a 90 minute drive once you arrive on Kangaroo Island. 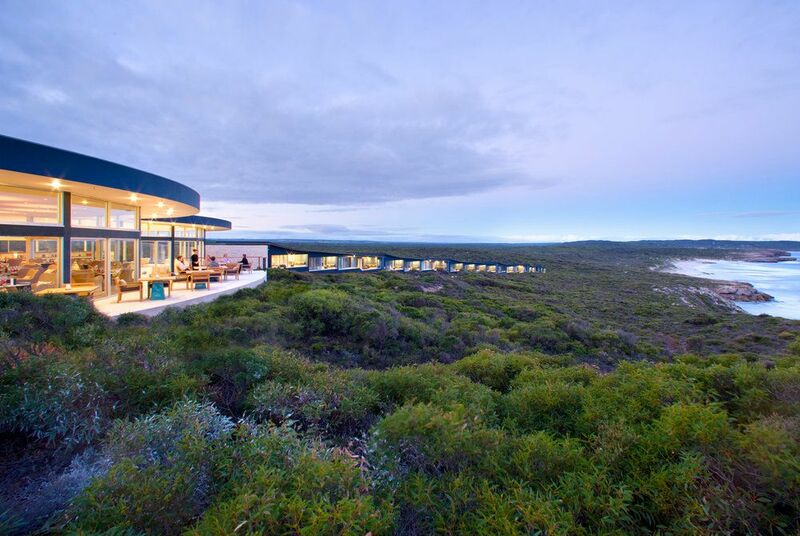 The lodge blends seamlessly with its pristine environment, curving along a ridgeline, with uninterrupted, panoramic views of the mighty Southern Ocean...next stop, Antarctica! 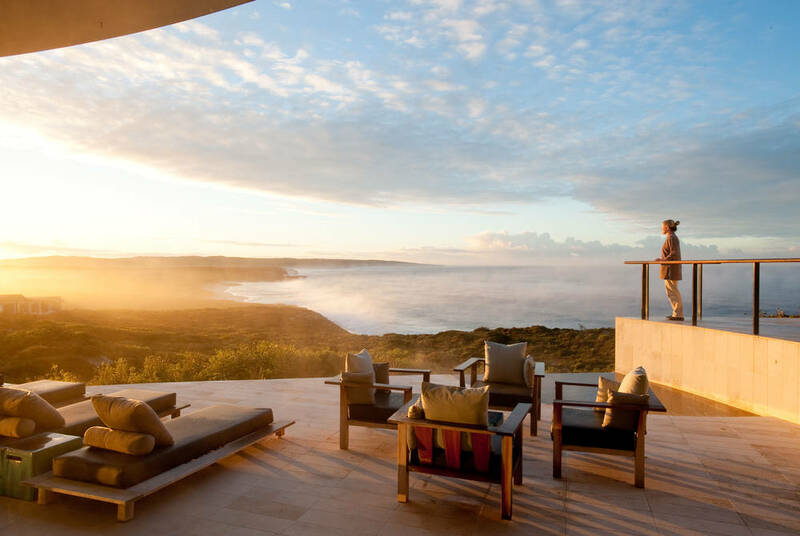 21 suites sit along the curve of cliff top each with floor to ceiling glass walls, opening to private outdoor terraces and a spectacular view. 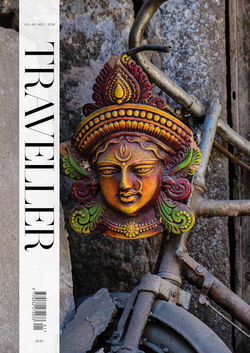 Interiors feature super comfy beds, limestone fireplaces, sunken lounges and in suite mini bars, which are packed with local goodies and treats. 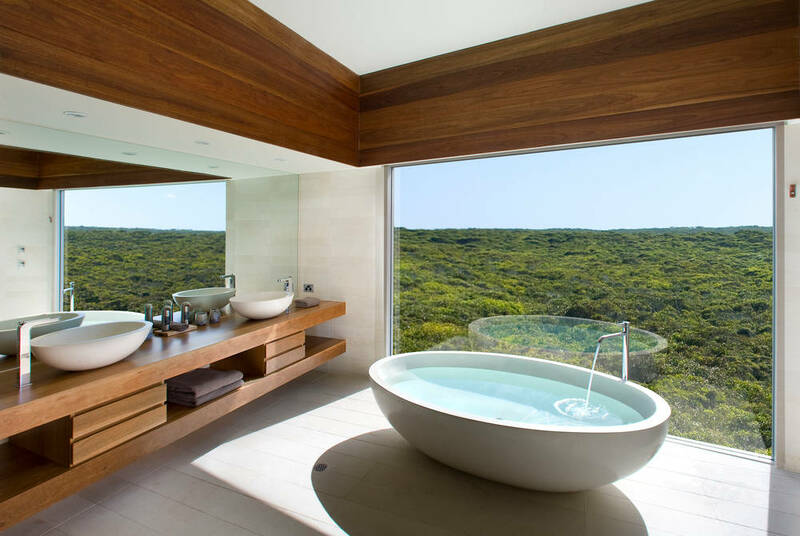 Generously sized bathrooms feature floor to ceiling windows, rain showers and a number have deep soaking bathtubs – perfect for appreciating the fabulous view. For a real treat, the Remarkable Suite is a vast space with a handmade timber bath tub and, outside, a private spa bath on the terrace. 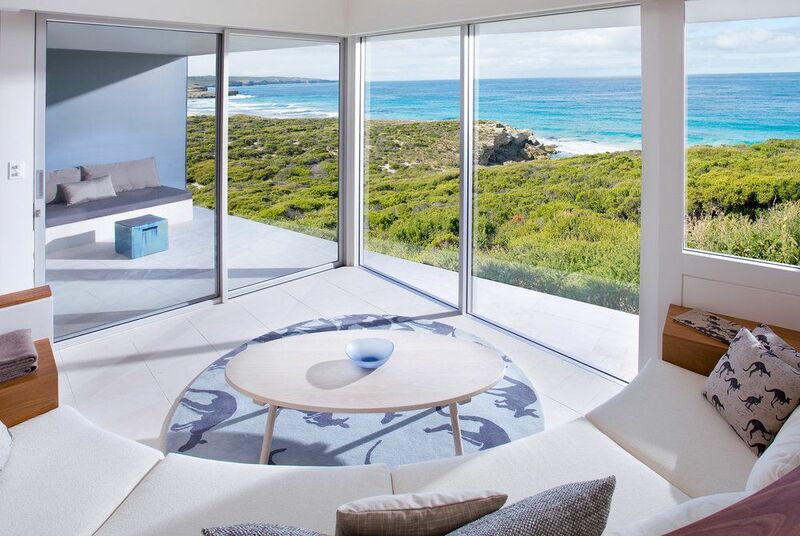 The Osprey Pavilion is the ultimate in luxury with seemingly endless 180-degree views and a private plunge spa bath on the terrace. 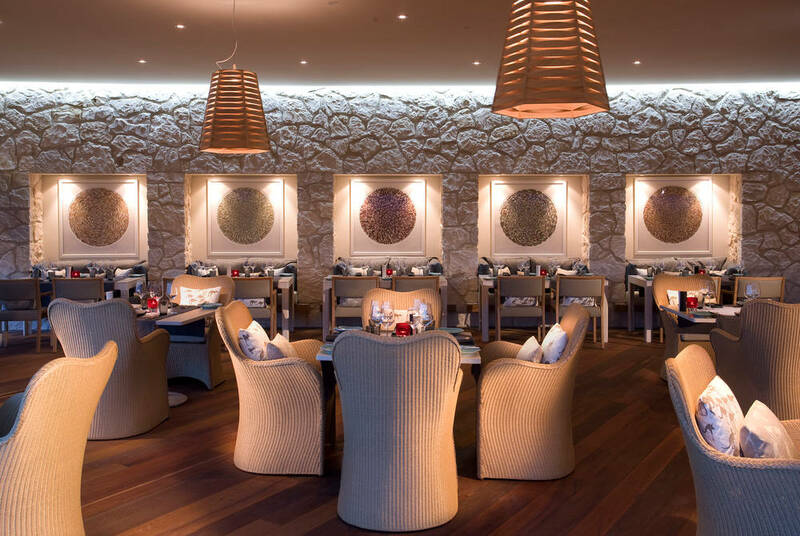 Breakfast, lunch and dinner are included in all room rates along with the in suite mini bar, pre-dinner drinks and canapes and an open bar with premium wines and spirits. The wine list is extensive with labels from Kangaroo Island and South Australia as well as a cellar list of vintage wine and champagne for an additional charge. 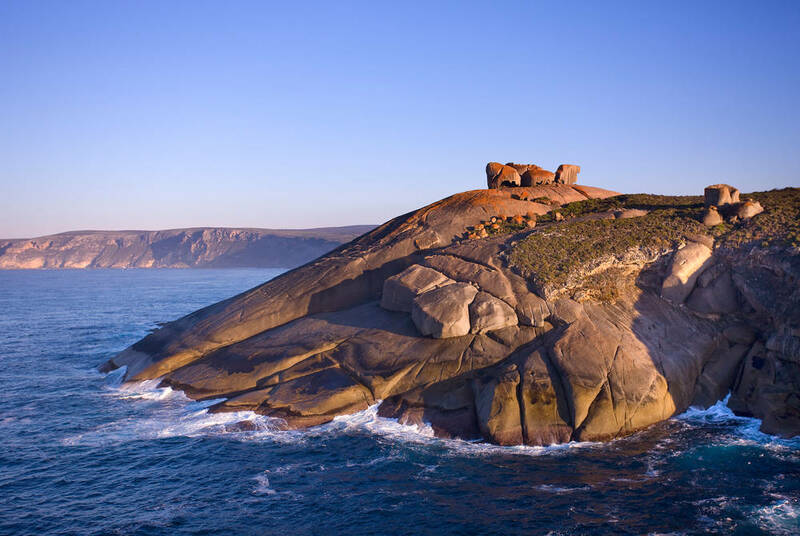 Kangaroo Island is becoming something of a food mecca and dining here take inspiration from the abundance of incredible local produce. Dine in the lodge dining room or outside on the terrace both proffering splendid views. For an intimate, romantic occasion dining can also be arranged in the wine cellar. 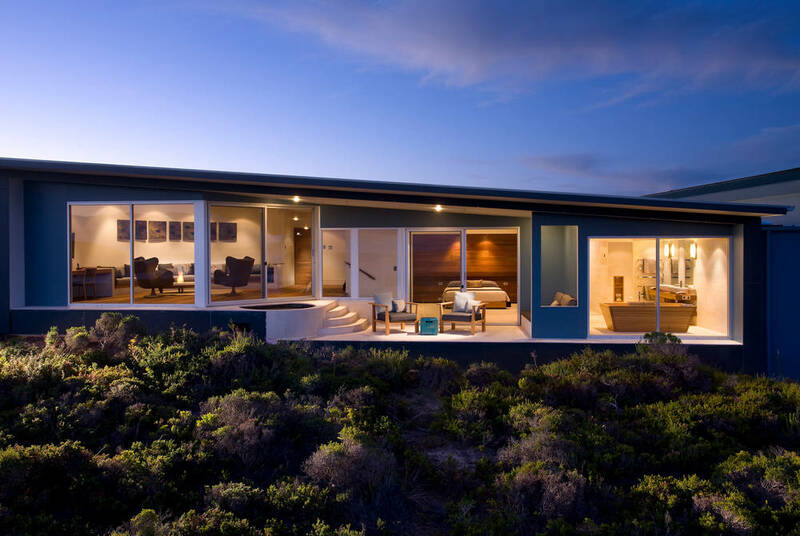 This is an environmentally sensitive and sophisticated sanctuary with an unrivalled location. 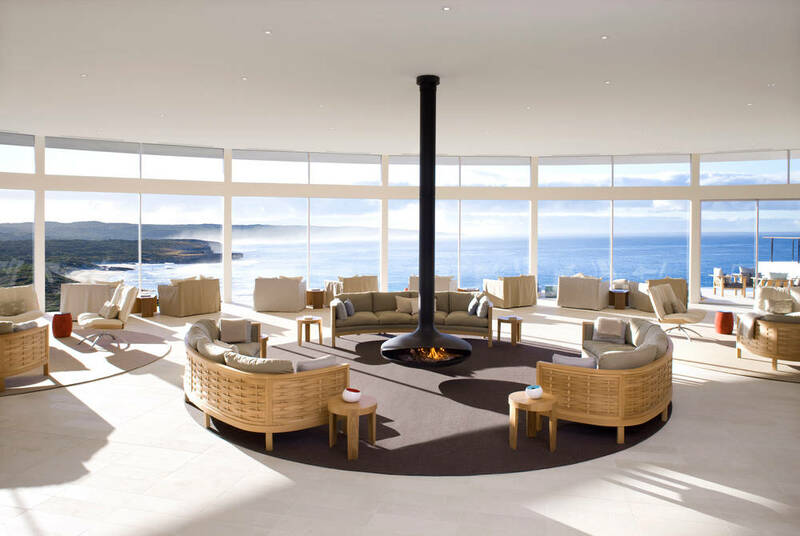 Southern Spa is a tranquil space with soul-stirring views and an exceptional range of treatments featuring island botanicals. 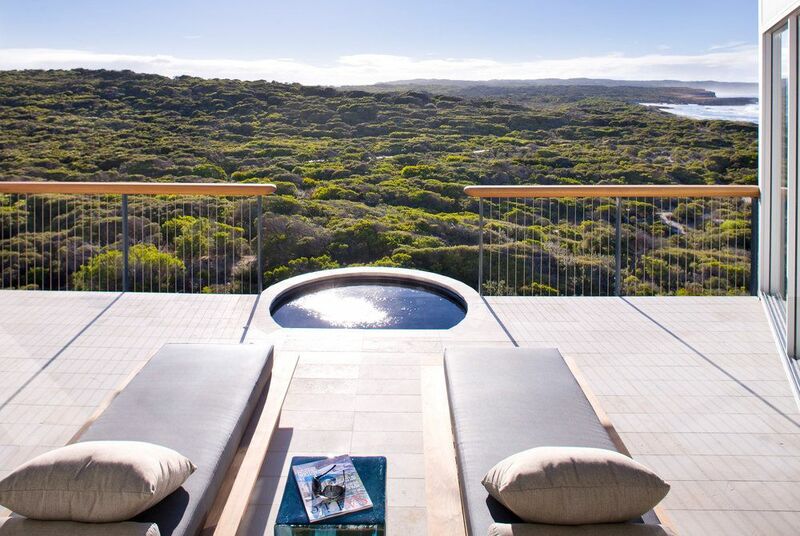 The signature itinerary of daily guided experiences, which are included with every two night stay allow you to encounter the wildlife and explore the unique natural attractions of Kangaroo Island. 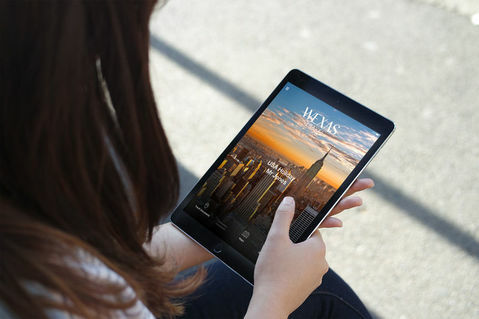 In addition, for those that wish to explore even further there is a menu of bespoke experiences available.